Our large cabins feature 5 or 6 bedrooms so that everyone in your family can spread out to enjoy the comfortable living and sleeping areas! Our cabins are a much better alternative to staying in cramped hotel rooms where you would have to reserve multiple rooms just to accommodate everyone! 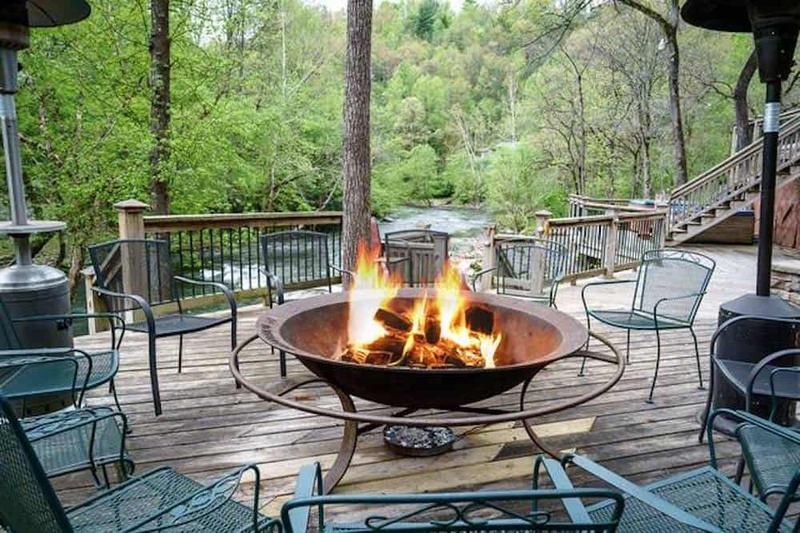 After an action-packed day of exploring downtown Gatlinburg or the Great Smoky Mountains National Park, your family can look forward to returning to Stony Brook Cabins for an evening of relaxation! One of the highlights of any family reunion is having a delicious dinner to catch up with all of your family members! Our cabins for large groups in Gatlinburg TN feature fully equipped kitchens with all the modern amenities you need to prepare meals. Whether you want to enjoy a quick breakfast together before visiting the national park or have a full sit-down dinner, you can easily make meals in our cabins. The only thing you need to bring are the groceries, as we have thought of everything else! We are sure that you want to spend some time visiting the world-famous attractions in Gatlinburg, so you will be happy to know that our cabins are just minutes from downtown Gatlinburg! This means that you can be quickly on your way to visit Ober Gatlinburg, Ripley’s Aquarium of the Smokies, Anakeesta and other top sights. We are also just a short drive to tons of great restaurants and unique stores, including the shops of the Great Smoky Arts & Crafts Community! There are so many fun things to do in our cabins for large groups in Gatlinburg TN that you could spend your entire family reunion at the cabin! When staying at Stony Brook Cabins, your family can enjoy tons of awesome amenities such as bubbling hot tubs, fireplaces, pool tables, home theater rooms and more! Our Pick’s Place cabin even features your very own private indoor swimming pool! Our large cabins are available for affordable rates that are sure to please everyone in your family! As a bonus, all of our guests receive FREE attraction tickets for every paid night as a thank you for choosing Stony Brook Cabins! When planning your family reunion, don’t forget to check out our latest Gatlinburg cabin specials that can possibly save you even more money! Check out all of our cabins for large groups in Gatlinburg TN today to plan your family reunion in the Great Smoky Mountains! We look forward to seeing you soon at Stony Brook Cabins!